Molstead Library is a great place to conduct research and find perfect sources for your papers! For assistance in writing your research papers in the proper format, please visit the NIC Writing Center. If you have your own computer, Zotero is a free, robust research management system where you can save all your references in one place to access anytime. Have more questions? Please email us. 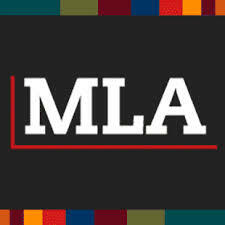 The MLA Style Center is a companion to the MLA Handbook and is the only authorized Web site on MLA style. It offers a quick guide to citing any source according to the MLA template of core elements, a practice template, a Q&A feature with hundreds of citation examples, a blog of writing tips, guidelines for formatting a paper and avoiding plagiarism, and sample papers. Employees of the American Psychological Association write and maintain all entries. After the APA Manual, this is the most authoritative source for APA style. Did you use a library database to conduct your research? If so, the database probably has a cite tool to get you started on your reference list. Have questions about these database features? Ask a librarian for assistance. Useful for small reference lists or single sources, Citation Machine computer-generates references from information provided in field boxes. Be sure to check the quality of the reference using an APA or MLA manual! For quick assistance or small reference lists, EasyBib provides auto-generated references. Be sure to check the quality of the reference using an APA or MLA manual! Used by college writing centers across the country, OWL provides detailed citation assistance for many different citation standards.